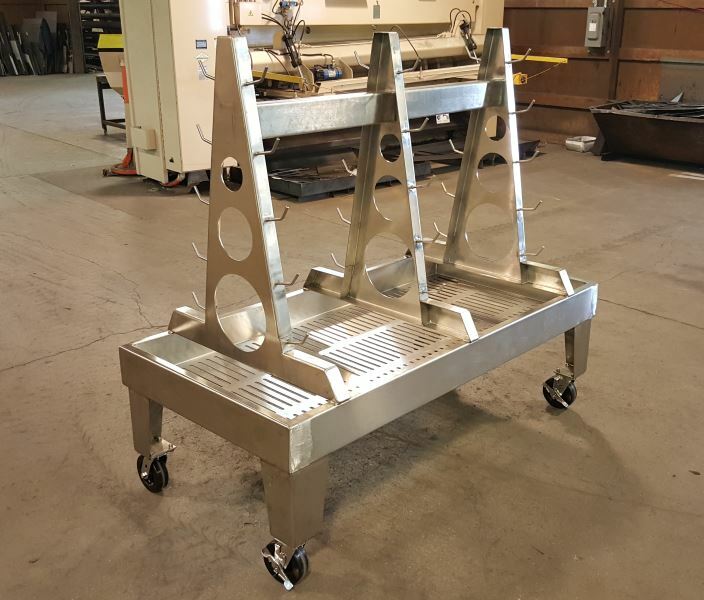 Complete custom fabricating solutions including expert MIG and food grade TIG welding. Whether you are across the street or across the country, you can be confident that your project will arrive as expected. Every job is checked for dimensional accuracy and overall quality before it leaves the building. 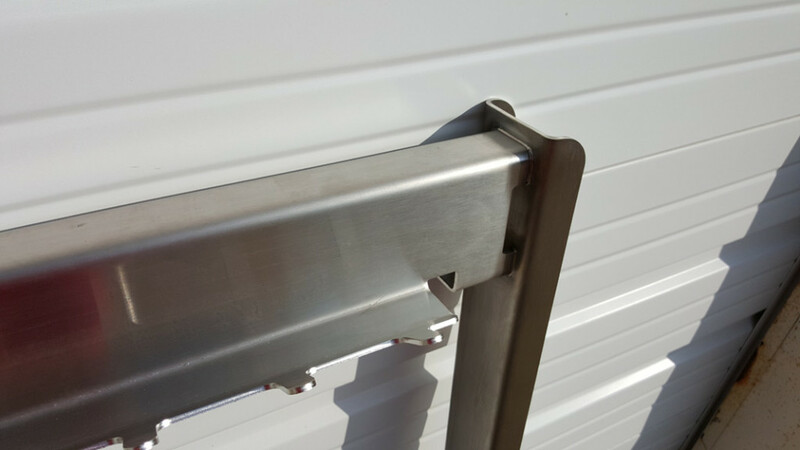 Custom made stainless steel coat rack for the food processing industry. 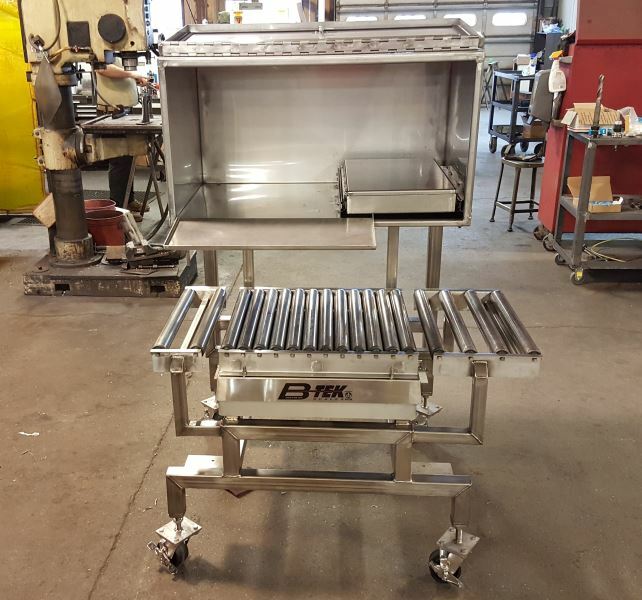 Rack features laser cut 10 ga. stainless steel material with #4 polish and TIG welded joints. 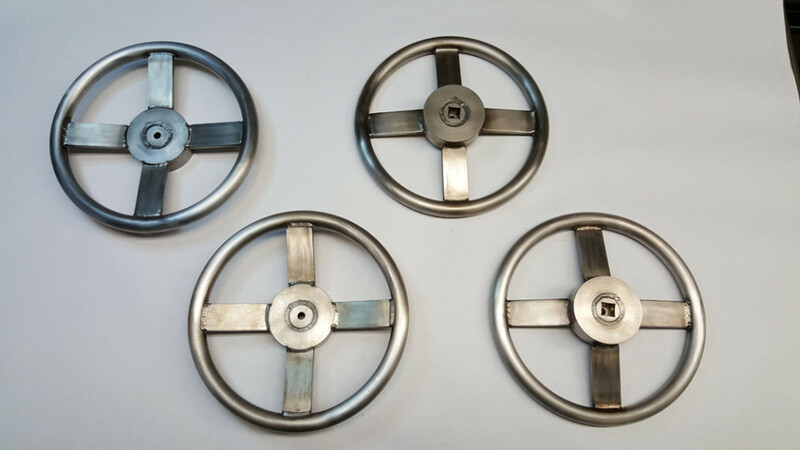 Custom made stainless steel hand wheel for equipment. This wheel is formed from ¾” dia stainless steel rod with TIG welded spokes and a custom machined center hub to fit on a metric square shaft with retaining bolt. 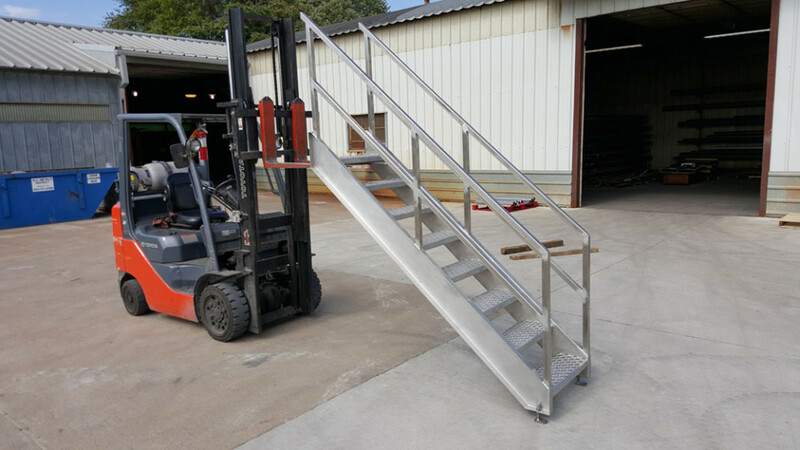 Custom stainless steel stairs with Omni-Grip treads and tube steel handrails. 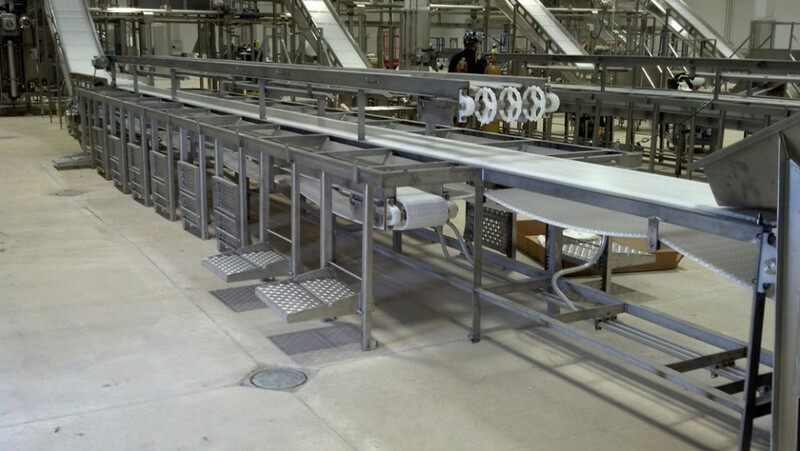 Custom made trim table with 4 conveyors for a local meat processing facility. 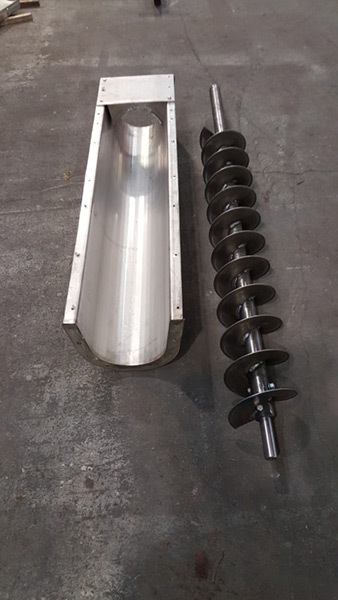 Custom stainless steel auger shaft and auger trough to replace customer’s corroded steel parts. 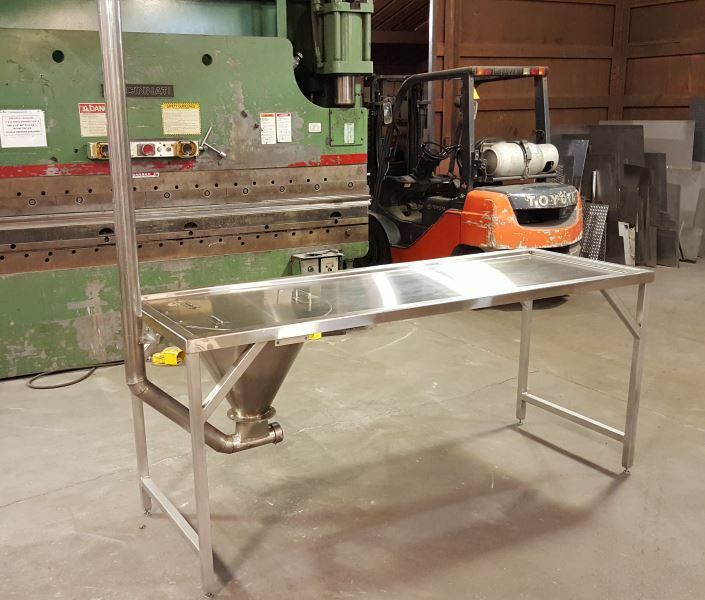 Custom stainless steel food inspection table with hopper and lid. 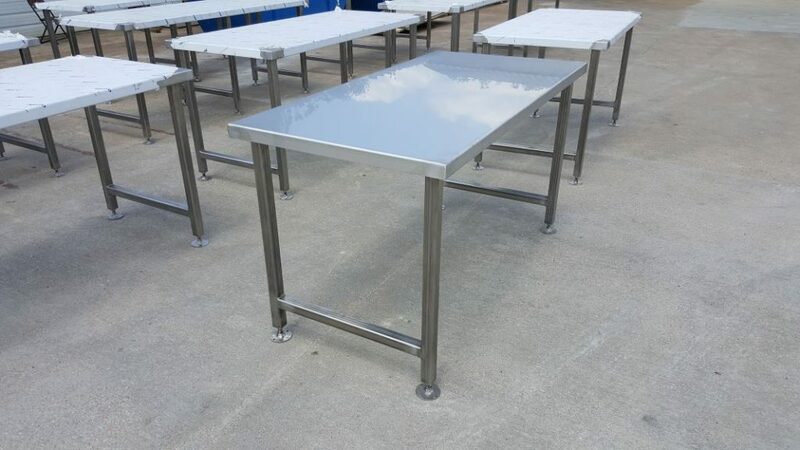 Custom stainless steel heavy duty work tables. 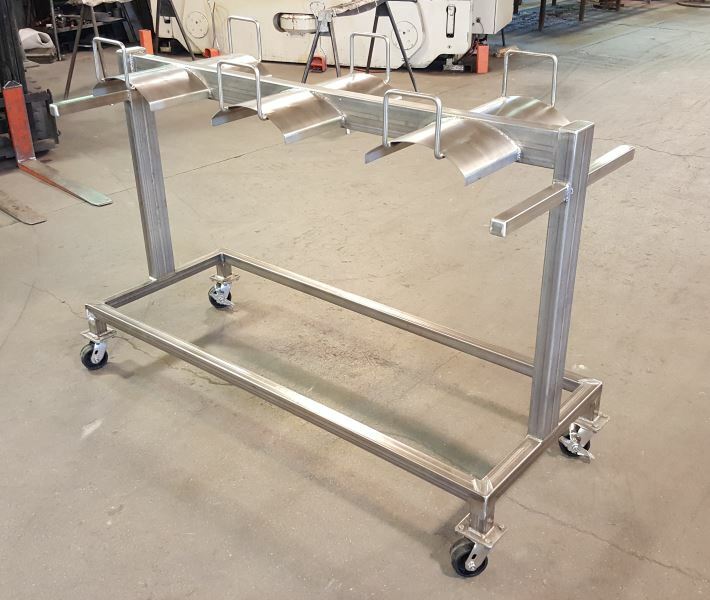 Custom stainless steel hose cart for wash down hoses. 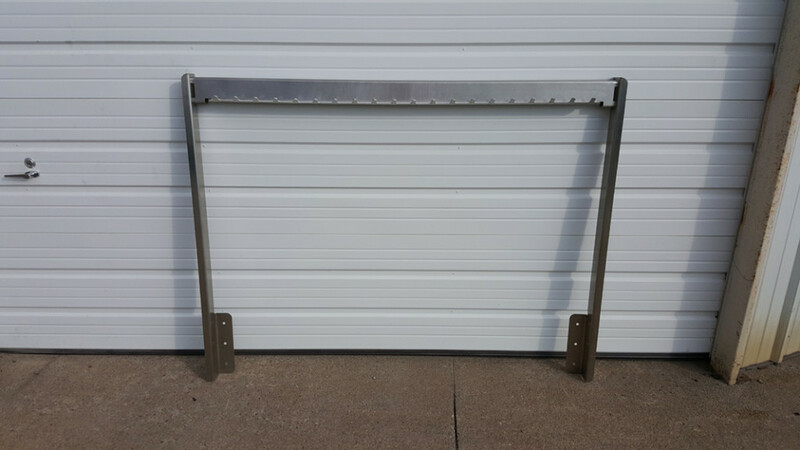 Custom stainless steel cart for scale with rollers and a computer cabinet. 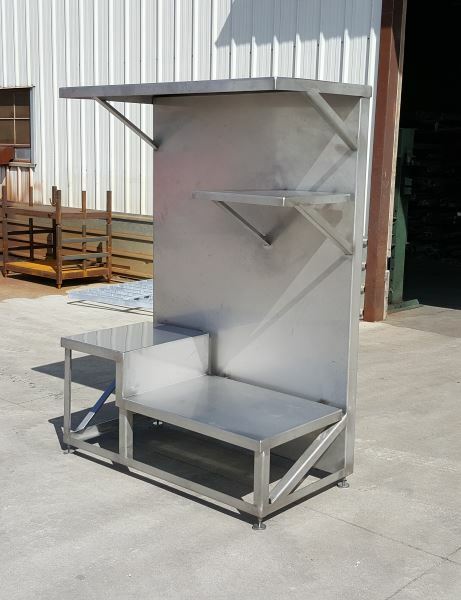 Custom stainless steel spice dispensing station for local meet packing plant. 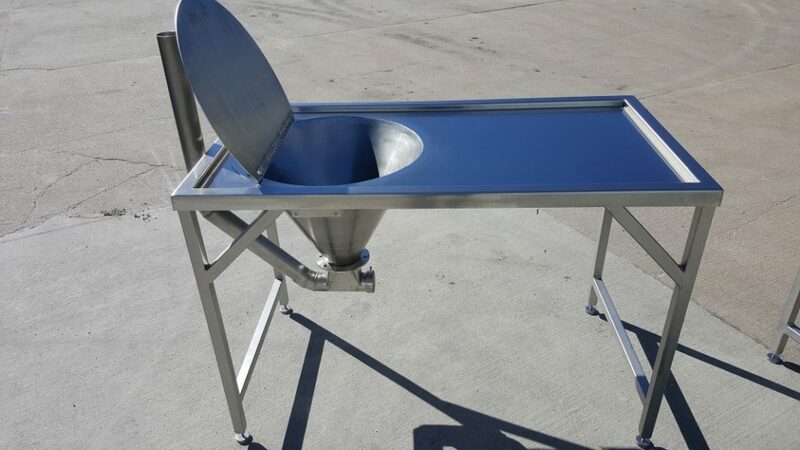 Inpection table with dump back hopper. 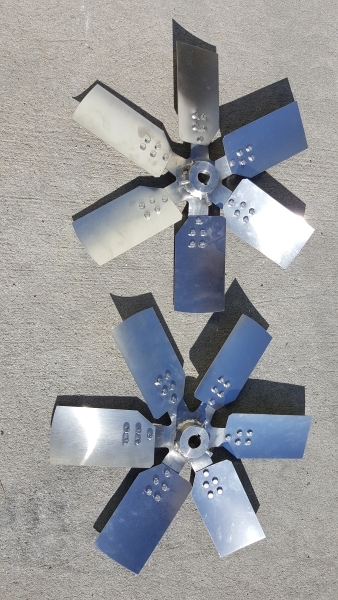 Custom made and balanced stainless steel fans for smokehouse. 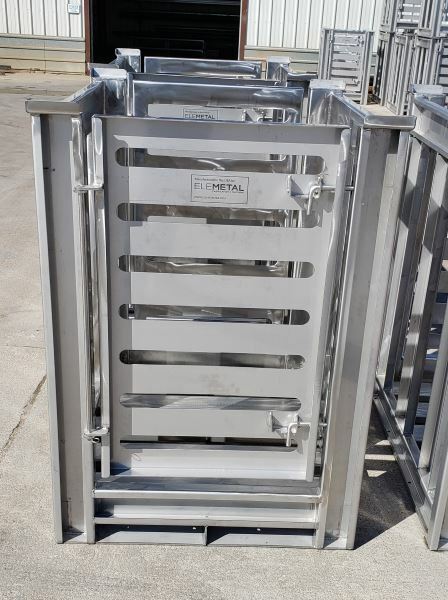 Custom Stainless Steel Crib for Transporting Deli Meat Logs. 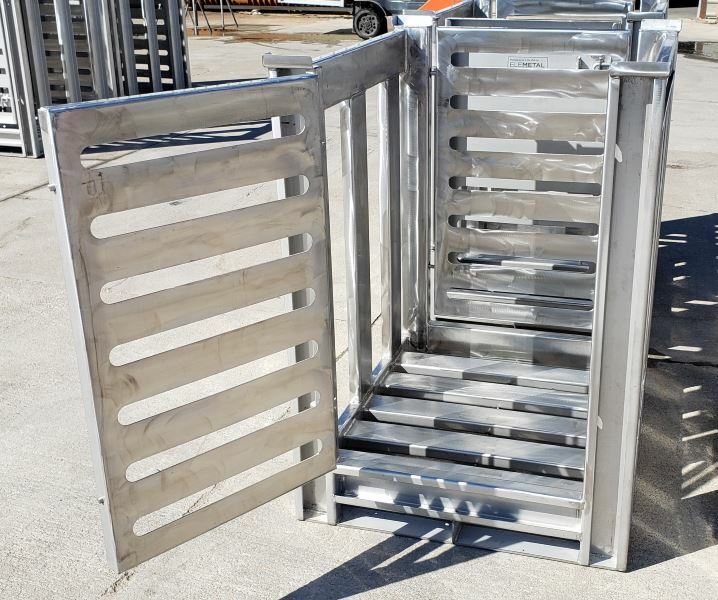 Custom conveyor for metal detector for meat processing industry. 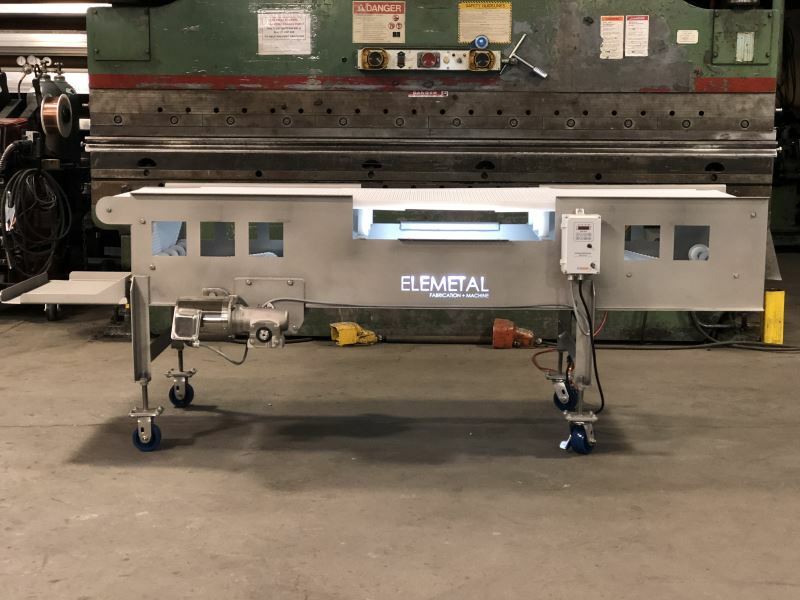 Based in Fremont, Nebraska, EleMETAL has more than 50 years of experience providing the highest quality sheet metal fabrication, welding and machining. Tell us about your project, and we'll tell you what it will take to accomplish your goals.